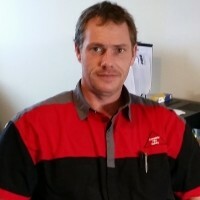 Stephen Shaw – Emergency Procedures & Fire Safety Trainer. Suitable for A,B & E Class fires. “A” class fires involve wood, paper, textiles, carpet, cardboard, LPG, CNG etc. “E” class fires involve energised electrical or electronic equipment. The ABE Dry Powder fire extinguisher is the most widely used extinguisher. They range in size from 1.0Kg to 9.0Kg and are colour coded RED with a WHITE band. If you would like more that 1 of these, contact us and we will work out the freight. 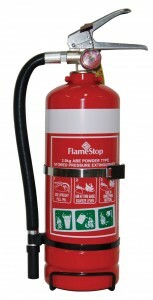 2.5kg ABE fire extinguisher fitted with stainless steel vehicle bracket. Other features include stainless steel handles, steel cylinder, brass valve and powder coated red finish. 9.0kg ABE fire extinguisher. 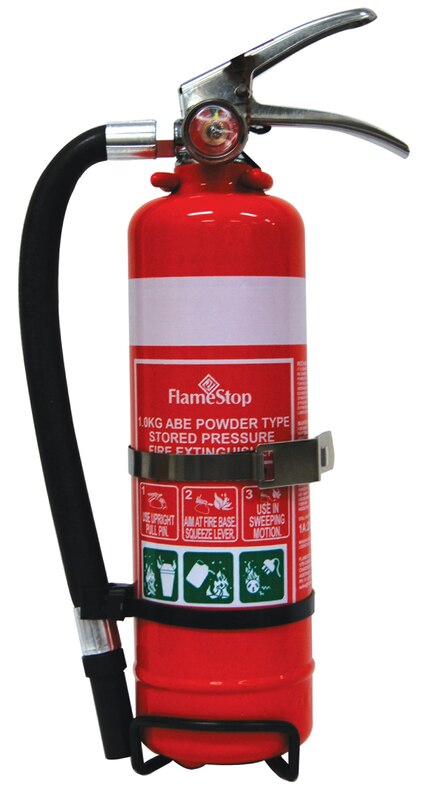 The largest of our portable extinguisher range, the 9kg ABE extinguisher is complete with stainless steel handles, steel cylinder, brass valve and a powder coated red finish. 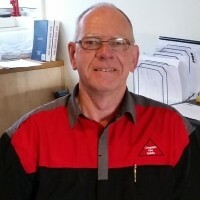 If you would like a quote or advice on this equipment or any of our large range of fire fighting and fire safety equipment or a quote on servicing your existing equipment call our Manager – Scott Shaw. 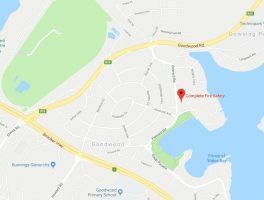 Email: scott@completefiresafety.net.au for more information. Statewide service from 111 Howard Road, Goodwood. Tasmania. 7010. Contact us for a free, no obligation quote on any aspect of Fire Safety, Training or Portable Fire Fighting Equipment.